Chocolate covered strawberries are a classic treat to show someone you care. 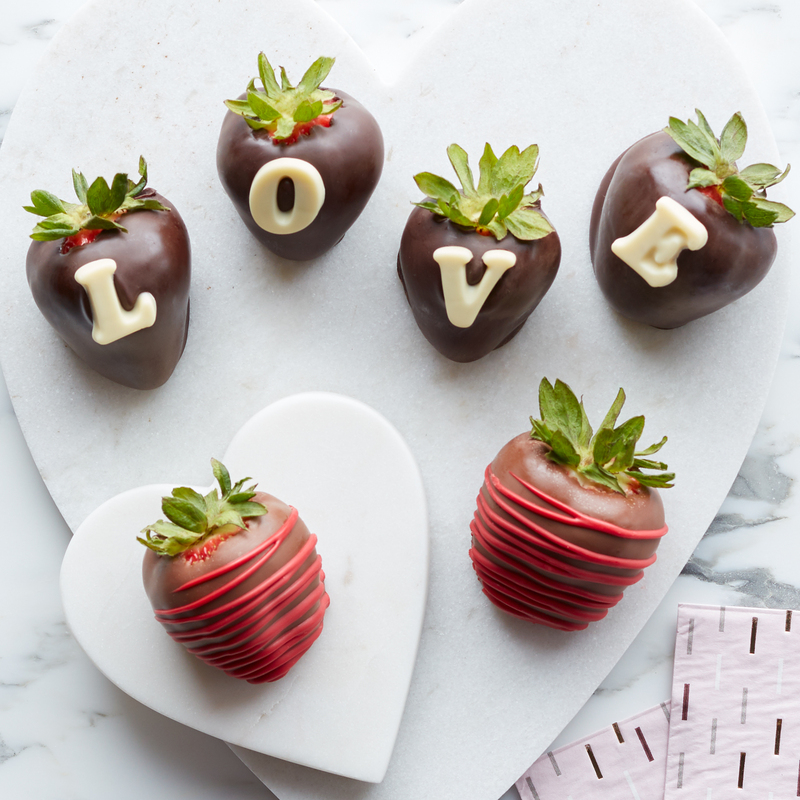 We’ve taken our mouthwatering strawberries and covered them in luscious Belgian chocolate, then dressed them up for Valentine’s Day with festive sprinkles and colored accents. This delicious gift comes with four milk chocolate and two dark chocolate strawberries so you don’t have to choose. Treat your sweetie—or yourself—to these indulgent treats.